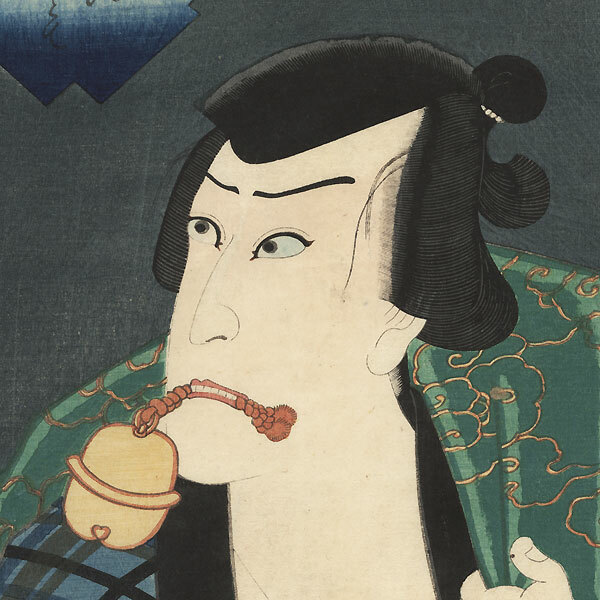 Selected Underworld Characters for the Six Poetic Immortals - Terrific actor portrait from a creative Toyokuni III series pairing kabuki rogues with the "Six Immortals" of Japanese waka poetry. These great designs feature a bold half-length figure set against a dark ground, with an inset shape containing a poem and different flowers framing the title cartouche. 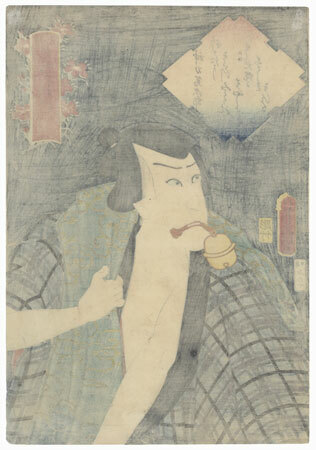 The Boston Museum of Fine Arts has this series in its collection. 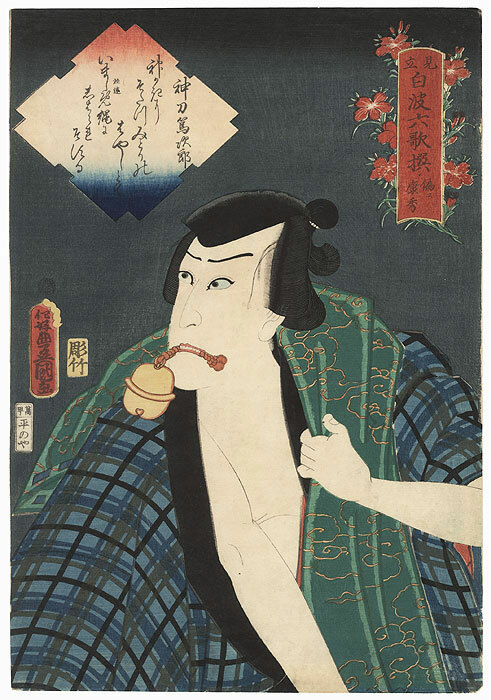 Beautifully colored and detailed, these terrific prints are a great choice for a kabuki or poetry enthusiast. Special detail - Burnishing on the black kimono collar and a dusting of mica across the top of the night sky. Image Size - 14 1/2" x 10"
Condition - This print with excellent detail as shown. Slight paper remnants on reverse at top corners from previous mounting. Small thinning spot, repaired. Slight soiling. Please see photos for details. Good overall.